Last week, Neil Gaiman confirmed that the whole "Impossible Girl" concept was a last-minute addition to this year's scripts. And boy did it ever show in this episode! In the typical Moffat fashion, there's a lot of brilliant, high-concept ideas that are introduced but not deeply explored. Also in the typical Moffat fashion, for every answer we get in this episode, we gain more questions. Sadly, at least half of these questions will be "What the hell?". Still, there are some good moments, created purely through the charisma of the cast. After a mad murderer gives a message to Madame Vastra regarding The Doctor and his greatest secret, she arranges a psychic conference call of her own entourage and two of The Doctor's greatest allies - Clara Oswald and River Song. Somehow, their involvement was anticipated and Jenny and Strax quickly fall prey to the vicious Whispermen - the latest henchmen created by The Great Intelligence. Now, to save his friends, The Doctor must violate the greatest rule of time-travel and cross his own time-line into his future. He must journey to the fields of Trenzalore... the site of his final battle. * The episode title, naturally, proves to be misleading and its' true meaning obscure until the final moment. Ditto the specific grammatical interpretation of the madman's words. * The explanation for how Clara Oswald came to be The Impossible Girl is satisfying and logical - by Doctor Who standards anyway. All of her out-of-character behavior (at least, relative to what we thought her personality was like) has can be explained away that she wasn't that awesome person she was in Asyluim of The Daleks or The Snowmen YET. * If this is indeed River Song's goodbye (any takers on that bet? ), then it is a good one. Matt Smith and Alex Kingston do a fine job of playing it out. * The Lovecraftian undertones to stories involving The Great Intelligence show up throughout the show. Chief among these are the idea of astral-projection based time-travel through dreams, a mad killer somehow having access to cosmic wisdom and a spooky gothic graveyard setting. * The opening scene, with Clara appearing alongside several of the previous Doctors (including a colorized William Hartnell!) is delightful. * Apart from the classic footage, there's a lot of references to other episodes including Turn Left (the stars going out as a visible sign of the universe changing) and The Five Doctors (the idea that altering The Doctor's past will cause his present incarnation great physical pain). * My favorite nod to the Classic Series? 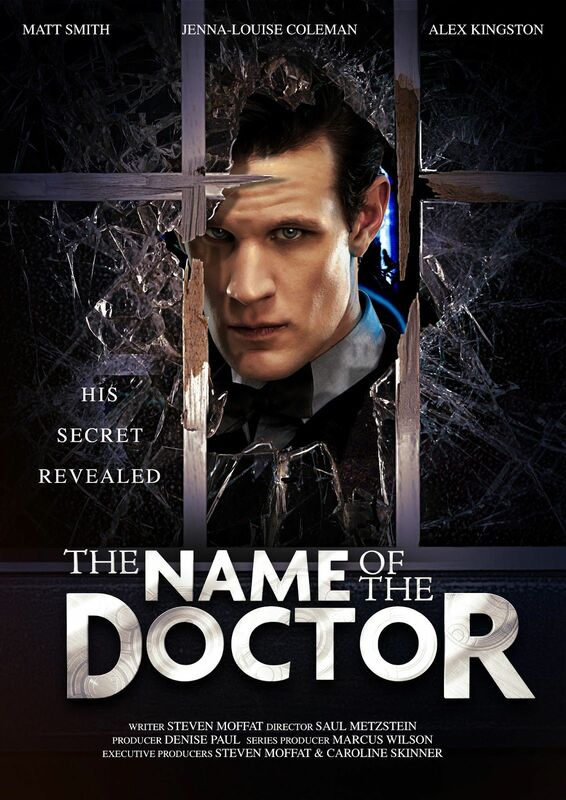 The Doctor name-drops The Valeyard - an evil, future version of himself from the story The Trial of a Time Lord. * There's some great little moments of acting from the whole cast. I defy you not to be moved by Lady Vastra's distress over Jenny's death. * Strax is quickly becoming my favorite supporting character and I love that his idea of a day off involves bar-brawling in Glasgow. One wonders if he'll go on to invent the concept of Football Hooliganism. * Comment has been made before about how so many of Moffat's female characters are Mary Sues but his treatment of Clara tops them all! One ordinary woman is now responsible for every single victory The Doctor ever had. Just consider how many stories that is and boggle at that idea. What is more, since Clara is now cast across the whole of The Doctor's time stream, her involvement can now be used as a Deus Ex Machina any time any future Doctor Who writer finds themselves in a corner. I doubt few of them besides Moffat will take that route but the idea that such a plot device exists in the first place still troubles me. It troubles me even more than the question of just how Clara is able to stop The Great Intelligence every single time it manifests. * Plot holes. So many plot holes. Why does The First Doctor respond to Clara calling him The Doctor, when he didn't adopt that name until later? How does the madman learn that The Doctor's grave is imperiled in the first place? How does Madam Vastra (to say nothing of Jenny and Strax's bodies) get to Trenzalore independent of The Doctor? Why, if The Doctor can force The TARDIS to travel someplace it doesn't want to go, has he never done it before in all the other cases where The TARDIS was being temperamental? How can The Doctor touch a non-corporeal telepathic construct? * Specific one that bugs me just because I love the Sontarans as a monster - Why doesn't Strax instruct his bar-brawling buddy to hit him in the back of his head to knock him out? In the one place Sontaran's can be knocked out easily? * Did anybody else think of The Slender Man when they first saw The Whispermen? * The Great Intelligence really doesn't have the gravitas to pull off the role here, though Richard E. Grant does give it his all in selling it. I suppose The Great Intelligence might have many more battles down the line with The Doctor but as it stands the idea of T.G.I.sacrificing itself merely to undo The Doctor's every victory doesn't seem to fit what we know of the character and its' goals. Can I believe The Master or Davros would take so drastic an action? Absolutely! The Great Intelligence? Not so much. * Six months until the actual conclusion of this story! AUUUUUUUUUGH! The charm of Steven Moffat's bait-and-switch stories has officially run out. Succeeding largely due to the performances of the actors, this story almost manages to maintain it's momentum in skipping across the water like a stone. Sadly, it sinks at the end as we are left with Clara being the biggest Mary Sue in history and a cliff-hanger ending after a season that was itself all cliff-hanger to this episode. Is it too much to hope that Series 8 will have a series of simple stories with no overriding plot?